Since I last did an update, I have read the first book on my TBR for the month (Life as we Knew It), started on the next one (What Happened to Goodbye), and received the third (Poison Study)! I already have the fourth book (Cinder). So I am well on my way to fulfilling my monthly TBR. My copy of Poison Study! I have also decided to do monthly wrap-ups where I talk about the books I've read, so I will not say much about it here (though you can see my review on Goodreads!). I read a good chunk of What Happened to Goodbye last night, and read more this morning, but haven't for the rest of the day! 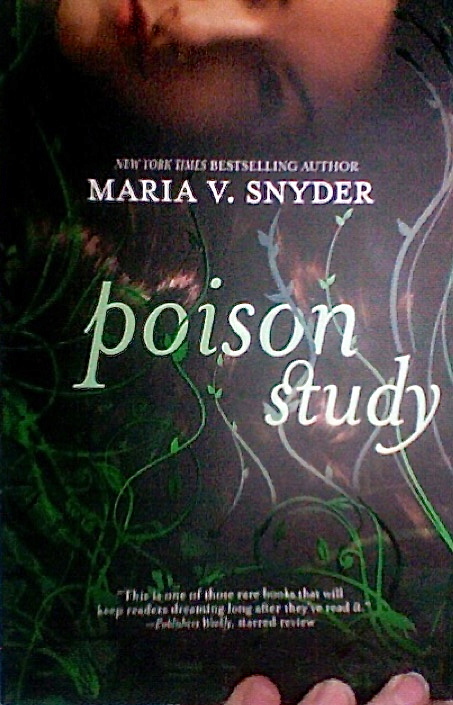 I also just purchased Poison Study by Maria V. Snyder and I am very happy. I rarely buy books for one, two I just love this cover, and three, I really can't wait to get started reading it (besides the first 14 pages I read on someone else's copy... You know who you are ;). What are you reading and how are you enjoying it?